It says that we are over our submission limit, however I'm not seeing that we currently have 558 submissions as indicated. Is there something I am missing? 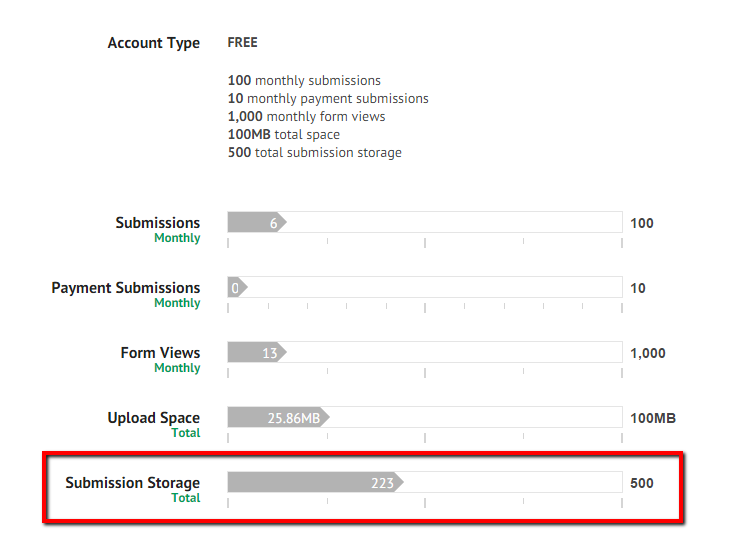 I have just reviewed the storage limit and notice that you currently have 223 total submission. If this is not correct, please let us know. We will be glad to take another look.